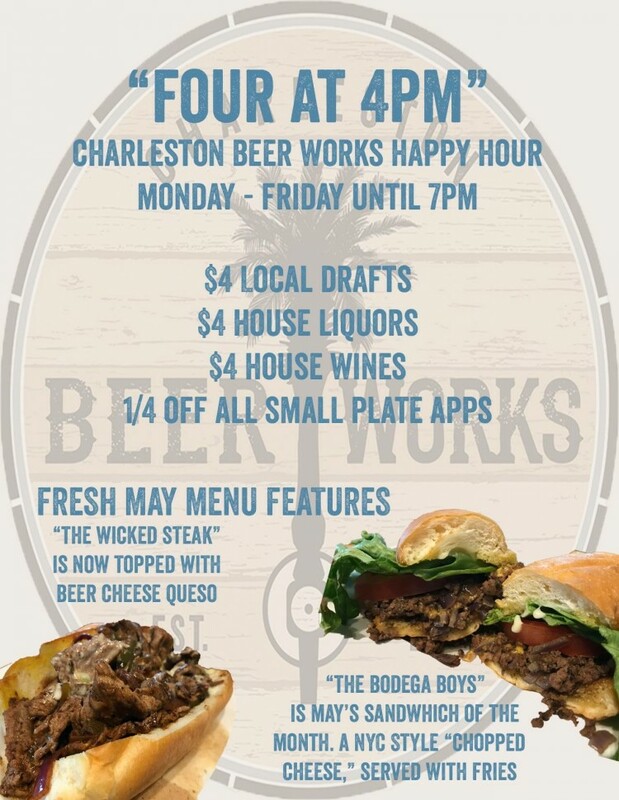 Say hello to the new Charleston Beer Works Happy Hour, the Four at 4PM! 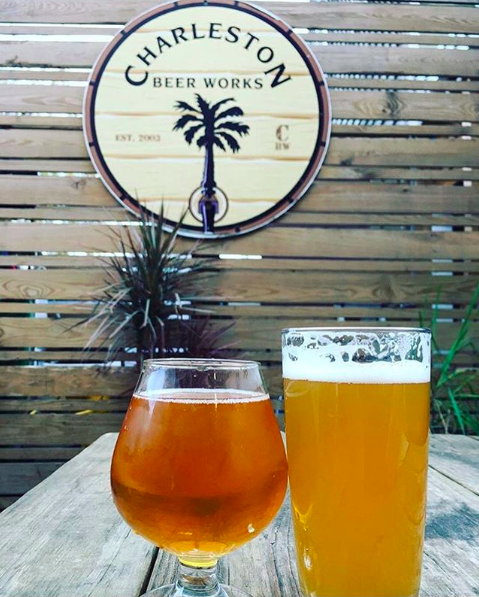 Now, every Monday – Friday from 4:00PM to 7:00PM, enjoy $4 local drafts, $4 house liquors, $4 house wines and 1/4 off ALL small plate appetizers! Other fresh May menu features include “The Wicked Steak” sandwich, topped with beer cheese queso and the May sandwich of the month, “The Bodega Boys”, a NYC style chopped cheese (chopped beef, onions and cheese on a hoagie roll with lettuce and tomato), which is served up with house fries. Stop by for Happy Hour and stay for live music, local drafts and great food! Check out May’s full event calendar here.